MILANO COPYRIGHT 2016. ALL RIGHTS RESERVED. This project’s goal is creating an engaged community of CBD, Hemp and Medical Cannabis users. 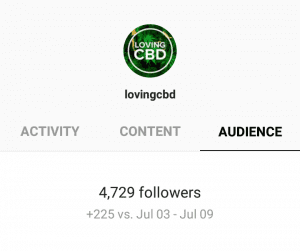 It will be used as a traffic source for cannabis related brands through sponsored content in the future. Around 80% of the content is user generated and shared with previous request, while the other 20% is original content.